The US National Endowment for the Arts (NEA) is an independent federal agency that funds, promotes and strengthens the creative capacity of our communities by providing all Americans with diverse opportunities for arts participation. 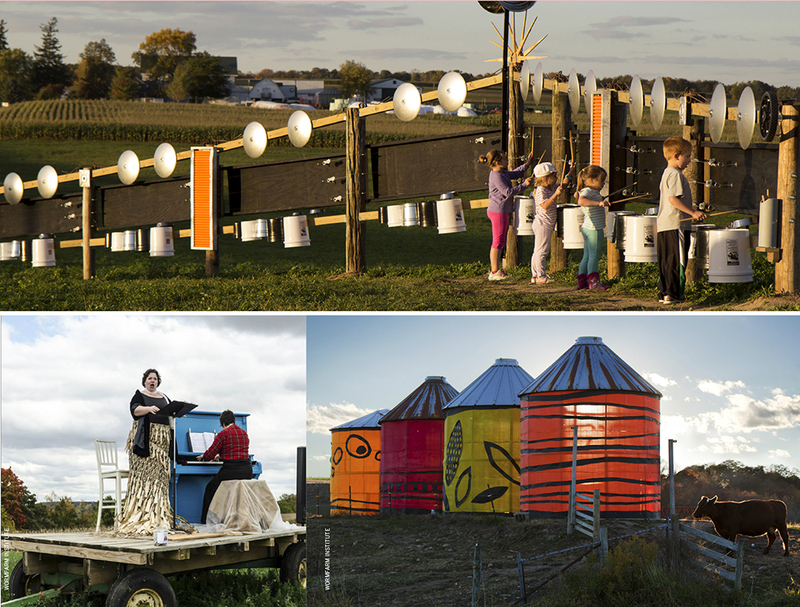 Through its creative placemaking initiatives, the NEA works to integrate arts and culture into the front end of community revitalization work, placing arts at the decision-making table alongside traditional economic development tools. 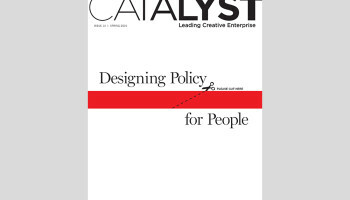 Catalyst spoke with the NEA Design Director Jason Schupbach about the process of integrating arts-based policy strategies into local community development. He shares the successes and challenges of implementing this approach on the ground, and explains how policymakers can achieve greater impact by collaborating across agencies to build healthy, livable, distinct, resilient and opportunity-rich communities. CATALYST: The National Endowment for the Arts (NEA) is America’s premiere supporter of arts and culture in America. As a federal agency, can you explain what the NEA is charged to do? JASON SCHUPBACH: The National Endowment for the Arts (NEA) is primarily a grantmaking organization that funds arts-based work in communities across America. Its aim is to help create and maintain a vibrant national creative economy. The NEA supports non-profits, as well as for-profit endeavors developed through a non-profit, such as documentary films and design-based projects. 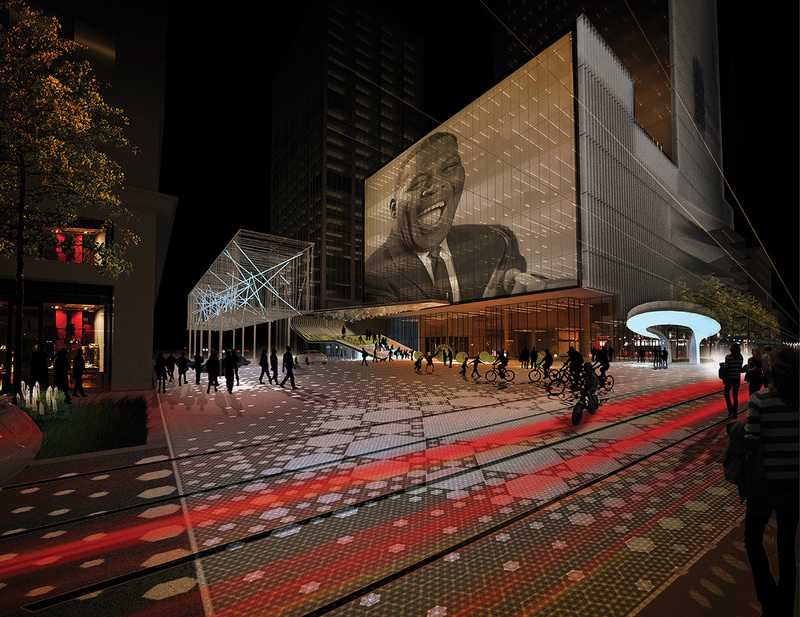 Beyond grantmaking, the NEA leads special programs, such as the Mayors’ Institute on City Design through partnerships with non-profits, foundations and other Federal agencies. Finally, the NEA supports and publishes research on arts-related topics. There are many ways to define ‘creative economy.’ How does the NEA define it? It has proven to be a very exciting and impressive undertaking. A team of about 10 people at the BEA and the NEA are involved in the research, and they are working very closely with international bodies who measure creative economy. The team is participating in a worldwide effort to develop the right kind of analysis, and it is incredible the level of detail they use to define what data is or isn’t considered creative work. The measurement is very thorough but by no means complete yet. The second report was released recently, and a third one is underway. This data will continue to be refined. The next stage will include further geographic breakdown, assessing creative economy at the state and eventually down to municipality levels. Although the study does not yet fully capture the architecture and design sectors, this data will be improved in subsequent versions of the study. A complementary study by the NEA about industrial design last year quantified for the first time ever the profession’s contribution to product innovation. The headline here is that industrial designers are among the top design – utility patent inventors in the country. How does the NEA work on strengthening the creative economy? 1. Creation. We fund artwork. 2. Engagement. We fund performances, festivals and participatory arts projects. 3. Learning. We fund arts education and arts driven research and education. 4. Livability. We fund creative placemaking. On our Website you can view around 1500 grants provided annually, at www.arts.gov. The depth and scope of the work we fund is truly interesting, and I think it would surprise many. My work at the agency focuses primarily on livability. As Design Director, our area aims to strengthen American communities by investing in projects that seek to improve the livability of places through the arts. We call this creative placemaking. Can you explain how you see arts and culture playing a critical role in creating livable communities? JS: The Obama Administration is committed to work that supports greater opportunity and economic mobility for all. We believe arts and culture contributes exponentially on multiple levels – in making great places, spearheading economic revitalization and building resilient communities. 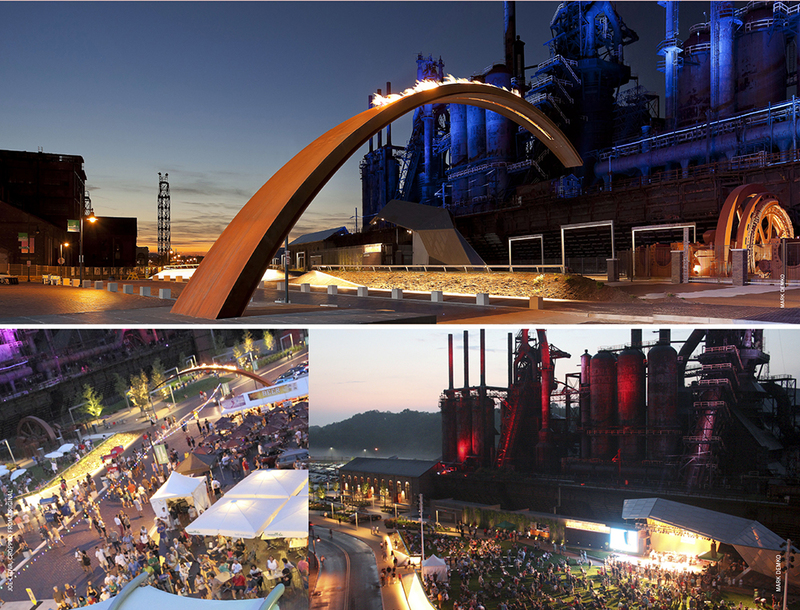 Creative placemaking is when artists, arts organizations and community development practitioners deliberately integrate arts and culture into community revitalization work – placing arts at the table with land-use, transportation, economic development, education, housing, infrastructure and public safety strategies. Our goal is to help community development practitioners understand that artists and arts organizations can assist on any number of issues, including public safety, health, blight and vacancy, environment, job creation, equity, local business development, civic participation and/or community cohesion. Today’s placemaking efforts celebrate distinctiveness, leveraging local culture assets, and are mindful of the existing needs of residents. 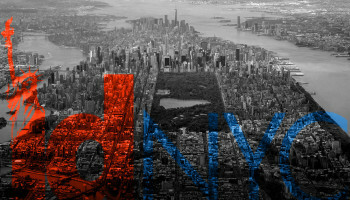 Cities and neighborhoods used to compete for major infrastructure and physical capital investments in an effort to move up an urban hierarchy of lookalikes. Now places are paying more attention to human capital investments and the animation of places with economic and cultural activity. Policy makers, key officials and stakeholders involved in all of these dynamics I’ve mentioned are beginning to value the strength of our approach in tackling these difficult and complex problems. The projects we have funded over the past few years are testament to a groundswell of interest in creative placemaking. How does creative placemaking work and what strategies have you used to generate interest across the country? 1. Can we create a new program with dedicated funds strictly for creative placemaking? 2. How can we involve private organizations more strategically and leverage private funds (foundations, private philanthropy, etc.) in support of creative placemaking efforts? 3. How can we partner with other federal agencies related to the creative economy? To date, we have been successful on all three fronts. In 2011, our budget appropriation included a separate funding stream for a new program called Our Town, which funds community-based arts development approaches all over the country. In our grants review process, we look for projects that are based on local assets, support local artists and/or designers and encompass part of a broader civic vision rather than a one-off plan. We fund creative industry efforts as part of that frame. We assisted with the launch of a new 10-year foundation initiative called ArtPlace America, which also funds creative placemaking efforts. Can you tell us a little about what you have seen across the country in the first few years of the program? JS: As we’ve waded into this, it is amazing what is going on across the country. The work on the ground is incredibly diverse, with local needs and governance differing from place to place. So far we have awarded 256 grants in all 50 states, from an Eskimo village in the Bering Strait to a town of 14 people in Colorado, as well as major cities. Our funding approach is broad enough so that anyone with the right criteria can come in the front door. Last fall we launched Exploring Our Town, an online resource of more than 65 case studies of Our Town projects along with a comprehensive section of lessons learned. What is the biggest takeaway from these initial Our Town projects, and how has it influenced the NEA’s overall approach? JS: Our initial work with Our Town has reinforced the effectiveness of integrated strategies, where arts-based approaches are folded into larger economic development projects. A great example of this is in the redevelopment of an old steel plant in Bethlehem, PA, where the steel for the Statue of Liberty was made. Part of the new development is a casino, but the other half is an amazing new arts center including a movie theater, outdoor pavilion, ongoing arts festivals and public art projects. The project was primarily financed by post-steel money, and they could have gone with something else. But they chose a really comprehensive use of the arts in a major economic development site, which is remarkable. How do you encourage communities to implement integrated arts-based approaches? JS: We have a very distributed system of arts support in the country, including strong regional and state partners who ensure the strategic allocation of funds at the local level. At the NEA, we are looking for new ways to create networks and share findings. There are many people who have been doing sophisticated work in this area for a really long time, so we asked ourselves – how we can best support those people and build on top of it? How do we help support the supporters? And how do we help them connect with each other and share experiences? The term we use for this is field-building. How can we help that smart 30 year old who runs a local community development corporation to incorporate artists into their work? Does he know to pick up the phone and call the local cultural council? Does he even know it exists? Does the local cultural council even have the capacity? JS: Our new Exploring Our Town case study database was our first pass at knowledge sharing. Everyone was asking for this. They want to know what it looks like, how they can do it, and how they can do it right. The case studies can show all of the different steps through the insights pages. This year we created a new fund to specifically support membership organizations in training their members on creative placemaking. ArtPlace also recently dedicated separate funds for field building and will continue its work to strengthen and grow the community of people and organizations working to position art and culture as a core sector of community planning and development. By responding to what is happening in the field, we are able to lay baselines, provide technical assistance, grow strategic partner relations, and strengthen our research and evaluation methods in order to become the preeminent portal for knowledge-sharing across these fields of practice. In addition to our work, we are also witnessing a growing pool of private funders. 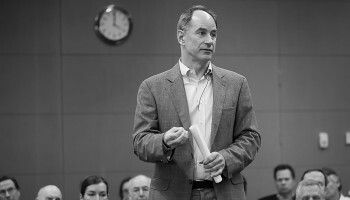 The Kresge and Surdna Foundations have made a series of important grants to place-based organizations like the Local Initiatives Support Corporation and Community Development Finance Institutions. The Irvine Foundation just released a very interesting series of reports on community engagement. Animating Democracy and Springboard for the Art’s Creative Exchange continue to build out their resources for practitioners. Arts service organizations that have been at the core of working with community, like Alternate Roots, National Performance Network, First People’s Fund and the National Association of Latino Arts and Cultures continue to support artists doing the work on the ground. 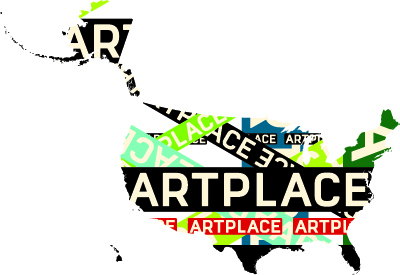 Americans for the Arts just launched a new (NEA -supported) cultural districts resource. The list goes on and on, and, certainly in this case, more is more. What challenges have you encountered with the field-building approach? JS: The biggest challenge is overcoming misperceptions about the value of the arts. My nightmare is when somebody says, “oh that’s our little arts project over there in the corner.” It shouldn’t be an afterthought. It should be designed as part of the plan. Here is our neighborhood, here is our local equitable asset-based neighborhood plan, and here is how the arts are interwoven into that. It isn’t just about housing, transit and environment; it is about building an economic case for community uniqueness, which requires a flourishing arts and culture sector. Another issue is training. The arts-based approach is not taught in most planning or design schools. It as also not inculcated in the networks of people who do place-based work or commercial revitalization district planning in a smart way. As the head of another federal agency said to me, ‘you guys have to get your stuff into our stuff.’ We have to work together with these agencies and figure out how to do this in a smart way. How is the NEA facilitating policy integration at the higher levels of governance? JS: Our Town requires buy-in from the city, town or tribe with a written letter by the mayor and city officials in the applications. The response has been great. In fact, we have more projects than we can fund at this point. Mayors now understand that thriving creative cultures are a powerful strategy for growth and see the tangible long-term economic benefit. In terms of our overall work, the NEA Chairman Jane Chu always reiterates the importance of expanding the NEA’s reach. We have limited and tightly monitored budgets at the NEA, so we are looking for ways to access larger ancillary budgets and see that the arts are involved in those projects. If there are a hundred multi-sector strategies to create livable communities, at least 15 are arts-based. How do we introduce these strategies as policy tools that are understandable for the typical clients of Housing and Urban Development (HUD), or Department of Transportation (DOT), or Environmental Protection Agency (EPA)? For instance, if one of these groups is funding a big water quality project, how would they know to involve an artist in the project? Well, the NEA successfully funded one in Fargo, North Dakota, and here is how it worked. Have you had much success with these interagency approaches? JS: We have had varying levels of success, but it is still a work in progress. A lot of new programs started at the beginning of the Obama administration, such as HUD’s Sustainable Community Collaborative Grants. We were able to get arts language into the funding capabilities of these new regional planning grants. For instance, if there is a museum in the neighborhood, shouldn’t they be a part of the conversation? The new language encourages people to have arts involved in those critical conversations, and we’ve had great success with this so far. To date at least 60 of over 200 HUD/EPA Sustainable Community Collaborative grants include an arts component to their work. In addition, through our Director of Strategic Partnerships, we work on a number of place-based interagency efforts, including the White House Council on Strong Cities and Strong Communities (SC2) and the Promise Zones initiative. We work with interagency teams and local communities to leverage the NEA’s Our Town strategies and agenda along with other federal place-based investments in order to better integrate arts and culture stakeholders into local community revitalization strategies. We collaborate with many of the Obama administration’s place-based departments, including HUD’s Public and Indian Housing (Choice Neighborhoods) and USDA Rural Development (Strikeforce), among others, to expand the federal network supporting arts stakeholders in local communities. What advice would you give to policymakers who are interested in developing an integrated arts-based policy strategy in their community? JS: There is plenty of known science about how to approach this work. A great place to start is by studying the NEA’s Exploring Our Town insights pages. The information directs you to all kinds of resources across the country. From there, I recommend mapping your cultural assets – understand who, what and where they already exist in your community. Creative placemaking is about augmenting what’s unique about a place and respecting existing needs and assets. Uncovering what local talents, strengths and desires are will be key to the foundation and ultimate success of your work. If we can leverage this in each of our communities, I am confident we will bring arts-based approaches to critical mass, just as the green building movement did several years ago. Art and culture are as important as transportation, public safety, infrastructure, education and other city planning considerations to build and maintain thriving communities. Creative platemaking is a policy strategy that encourages collaboration between artists and community development practitioners to catalyze local creative assets, animate public spaces, improve local enterprise and bring diverse residents together in a proud sense of place to make communities more livable. Jason Schupbach is the Director of Design Programs for the National Endowment for the Arts, where he oversees all design and creative placemaking grantmaking and partnerships, including Our Town and Design Art Works grants, the Mayor’s Institute on City Design, the Citizens’ Institute on Rural Design, and the NEA’s involvement in the HUD Sandy Recovery Taskforce Rebuild by Design Competition. 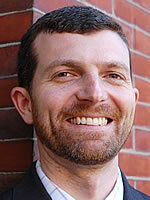 Previous to his current position, Jason served as the Creative Economy and Information Technology Industry Director for Massachusetts. In that job he focused on the nexus of creativity, innovation and technology to grow the innovation industries cluster in the state. He formerly was the director of ArtistLink, a Ford Foundation initiative to stabilize and revitalize communities through the creation of affordable space and innovative environments for creatives. He has also worked for the Mayor of Chicago and New York City’s Department of Cultural Affairs.